From Wikipedia: Measure for Measure, by William Shakespeare, is believed to have been written in 1603 or 1604. Originally published in the First Folio of 1623, where it was listed as a comedy, the play's first recorded performance occurred in 1604. The play's main themes include justice, “mortality and mercy in Vienna,” and the dichotomy between corruption and purity: “some rise by sin, and some by virtue fall.” Mercy and virtue predominate, since the play does not end tragically. Measure for Measure is often called one of Shakespeare's problem plays. It was, and continues to be, classified as comedy, though its tone and setting defy those expectations. From Wikipedia: Measure for Measure, by William Shakespeare, is believed to have been written in 1603 or 1604. 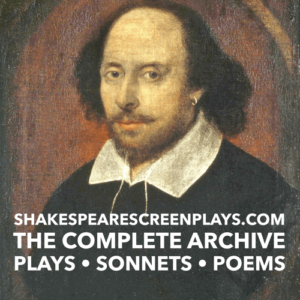 Originally published in the First Folio of 1623, where it was listed as a comedy, the play’s first recorded performance occurred in 1604. The play’s main themes include justice, “mortality and mercy in Vienna,” and the dichotomy between corruption and purity: “some rise by sin, and some by virtue fall.” Mercy and virtue predominate, since the play does not end tragically. Measure for Measure is often called one of Shakespeare’s problem plays. It was, and continues to be, classified as comedy, though its tone and setting defy those expectations.